Roguelikes are a genre I’m never super hyped about. It’s not that I think they’re bad, it’s just hard to get excited about a game I almost certainly won’t finish. There are some roguelikes I very much enjoy, but I always drift away from them once I get my fill of the gameplay. Even with randomization, areas start to feel familiar, so any dream of reaching new heights loses its appeal if you have to go through the same brutal starting area for the 100th time. With the exception of Spelunky, every game I enjoyed left me with the same thought: this gameplay is amazing, but would be even better with intentional level design. That wasn’t the case with Dead Cells. 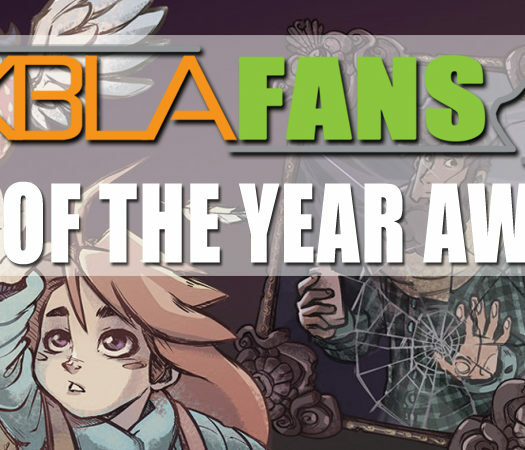 While it plays like a roguelike, it’s a Metroidvania at heart, combining randomly generated challenges with meaningful progression and deliberate design decisions. You play as an immortal blob trying to escape a constantly shifting island full of diseased monsters. Its only means of fighting back is to inhabit the dead bodies that fill the island’s prison. If its current body gets damaged beyond repair, it’ll be forced to leave everything behind, go back to the prison for a fresh one and try again. It’s a grotesque cycle fueled by a bottomless pile of corpses, but I wouldn’t have it any other way. 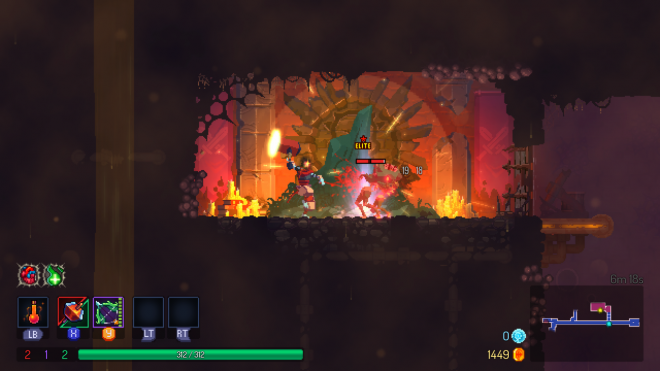 Rogue Metroid – Dead Cells is a randomly-generated permadeath roguelike and a Metroidvania where you unlock abilities to reach new areas. The two genres sound diametrically opposed, but the blending done here is pure genius. The game is a series of distinct areas that are assembled randomly, but always contain certain constants and maintains a general design. For example, the Promenade of the Condemned will always be a long stretch of ruined village, with enemies occupying larger burnt-out homes and most of the loot is hidden underground via elevator shafts. 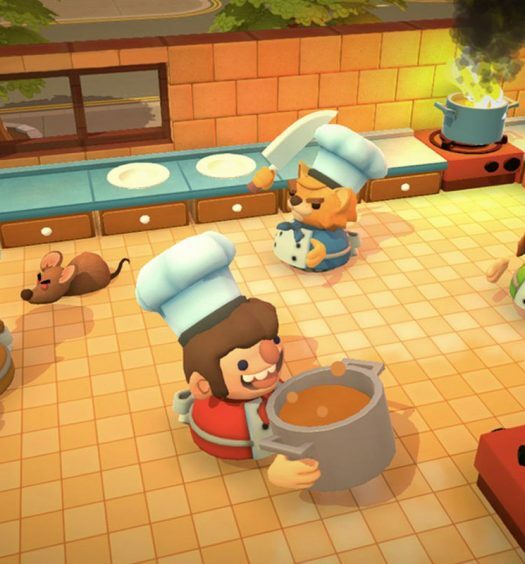 Once you understand a level’s underlying concepts, you can use them to your advantage, efficiently speeding through an area and grabbing everything you need. Every area will have certain landmarks and top-tier secrets that will always show up, often there to taunt you before you even have the skills to reach them. These secrets are often tied to your permanent upgrades – new traversal skills that are unlocked by finding hidden runes. While weapons, gold and other trinkets are always lost upon death, rune abilities are yours forever. When you start over after attaining a new skill, you’ll get access to things you never knew existed. Those vines that always appear in the starting prison? Climbing them leads to an exit for a completely different second area. There are a few of these branches to find, so if you’re burned out on one path, you can just go the other way next time. The way this game replaces standard Metroidvania backtracking with death is wonderful; you may be starting over constantly, but you’re always getting a better picture of the paths connecting the larger world. Undying brutality – Combat is dead simple: you have four attack buttons, each assigned to an item. Two of these items are standard weapons you can use endlessly; the other two are stronger abilities with cooldowns. Basic weapons are sorted into three categories (swords, shields, and bows) which are much broader than they first sound: “swords” is merely a catch-all for melee weapons, from fast dual blades to heavy hammers, while “bows” includes many magic-based attacks. Every weapon has multiple tiers of increasing deadliness, and the higher levels include additional randomized perks. The only thing more impressive than the breadth of the arsenal is that every single item feels amazing. Every swipe and shot deliver a satisfying crunch, every perfectly timed shield parry a small, satisfying victory. Even deployable items like turrets are just so satisfying to watch as they mow down enemies. Your character’s default moves are great at keeping with the fast-paced flow of combat, from a slick dodge roll for avoiding attacks to a gruesomely satisfying ground pound that quite literally liquefies the weak. Every action is meant to be used with intent and can be strung together to become an elegant dance of destruction. Level up! – Your combat prowess is supported by three stats, which reset with every new body: Brutality, Tactics, and Survival. Every weapon in the game falls into one of these categories, denoted by its color; some items have two categories, and will change to match the higher of the two stats. Skill points are gained by picking up scrolls liberally scattered about, each one granting a point into the skill of your choosing. Each point nets you a damage boost with weapons of that color, plus a health boost. The damage increase is always a flat 15%, but as you gain more skill points the health bonus for that stat shrinks. It’s a simple system works well with its temporary nature, giving the player a compelling risk-reward decision that doesn’t take too long to choose. Cells at work – Getting through a level is tough work, but you’ll always be rewarded once you hit that exit. Between every level is a calm passage where you can recuperate and prepare for the next gauntlet. There you’ll be able to restore your health and healing items, choose a new stat-boosting mutation, and put a down payment on new unlocks. 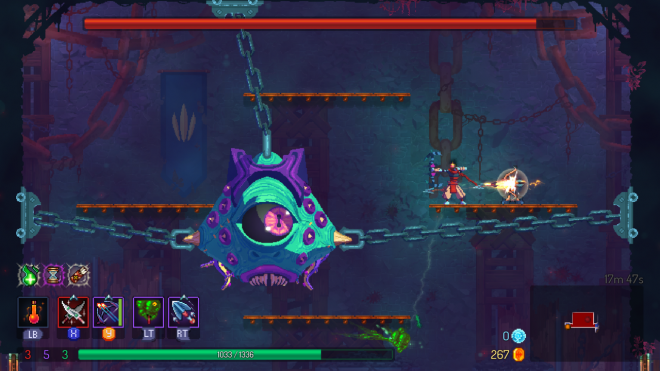 The game’s most valuable currency is huge blue cells dropped by fallen enemies, which are used to unlock new weapons, abilities and game modifiers. Unlocked upgrades like refillable health flasks or random starting drops are implemented immediately, while a new weapon is dropped on unlock and added to the randomization pool. Prices can be steep, but you can pay off the cost a little at a time without worry of losing that progress. Cells on hand are lost on death, but those deposited at the store are there forever. Low cell count – If there’s one thing that tempered my enjoyment of the game, it’s that cell upgrades can take a while. The initial well of loot is incredibly shallow, and it’s up to you to expand it by collecting blueprints, bringing them to the Collector, then paying for the weapon to be made. Prices can go as low 15 to as high as 100; on a good run through an earlier level; I’d average 10-20 (over 30 if I’m super lucky). It takes a level or two just to unlock a single weapon, assuming you found a low-value blueprint and don’t want to work towards an incredibly useful (and expensive) non-weapon upgrade like an extra health flask. As such, your first handful of runs will feel a bit tiresome as you toy around with the same few bits of equipment. Doing your umpteenth run with the same sword and shield can feel tedious, but on the bright side, a slowly growing arsenal does give you ample time to try everything and discover deadly combinations. 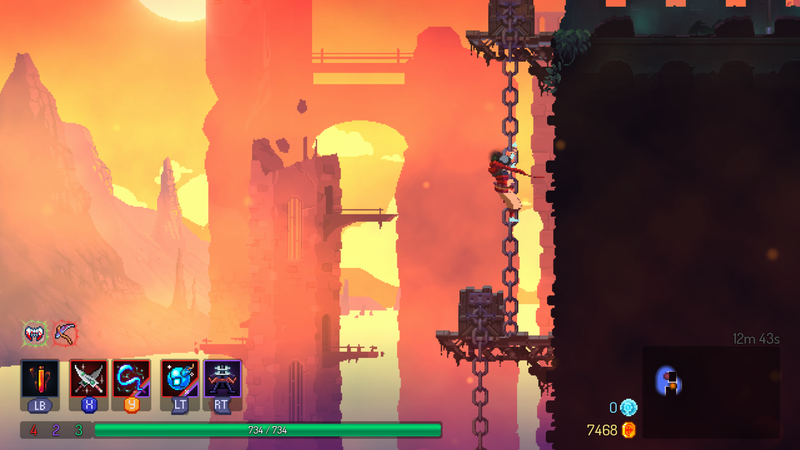 Thanks to a ruthless final area I haven’t reached the end of Dead Cells just yet, but I plan on changing that as soon as I can. The way the game infuses its roguelike elements with a deliberate linear design is brilliant, creating a sense of consistent forward momentum that you rarely see in its peers. This isn’t an experience which mostly relies on RNG for a good run, as you’re always in the driver’s seat building your character and navigating the interconnected world. Its moment-to-moment gameplay is pure gold, but the way the overarching game remains compelling after so many hours is its greatest feat. 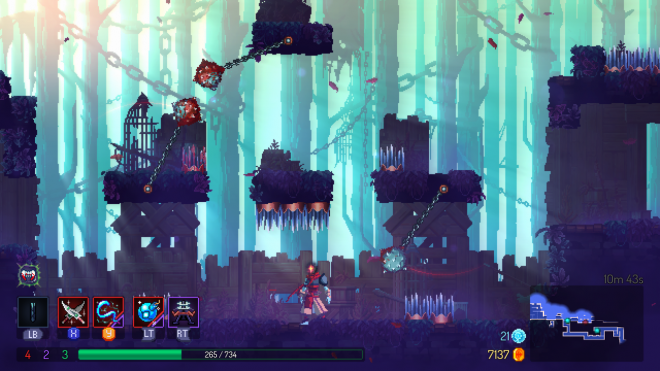 Dead Cells was developed and published by Motion Twin. It was released August 7, 2018, for $24.99. A copy as provided for review purposes.